What is Strides Course Design? Strides Course Design is software used to design jumping courses. It also stores these courses for future reference. Coming soon is Strides Trainer specifically set up for riders and trainers(coaches) to design and store jumping exercises. Who will benefit from using Strides? Anyone who has an interest in designing and/or recording jumping courses and exercises, including anyone from course designers, jumping trainers, riders to jumping fans who wish to record courses from their favourite shows. What are the benefits of using Strides? Course designing is so much easier if you have a pre-designed plan. Strides saves you the messy handling of drawing on paper when continually making changes. You can record your courses into a database for future reference. With the exception of high stakes classes, there is nothing wrong with using the same course on different occasions. You can use a previously designed course and edit it for another show. As a jumping trainer/coach you can design your exercises for planned clinics and email to the organisers so that these exercises can be set up before you arrive. These exercises can also be saved for future reference. While it is never ideal to have course designer absent, the course designer can design a course remotely and then email it to the organisers. This is especially beneficial for local pony clubs or riding clubs who wish to have quality courses. A rider can record the exercises including jump types and distances that were done during a jumping clinic. As well as recording exercises a rider can also add comments or even write a full report about the lesson. A rider will get much more out of each lesson. Many exercises have an ideal time and place, but are easily forgotten. Strides can record all the details so you can recall the exercise when it is needed. Which computer operating systems can Strides be run on? Strides Course Design and Strides Premium are java applications so they can be run on any java enabled computers. This means they can run on Windows and Macs. Strides Lite is a web app and therefore can be run on any electronic device with internet access and containing a modern web browser. This includes Smart Phones, Tablets and computers. Strides Lite can be run on any device with an SVG enabled web browser. Almost all modern browsers including Internet Explorer, Safari, Google Chrome and the latest versions of the Android Browser. Strides Lite can be run on computers, tablets and Smart phones. How do I download Strides? It takes just a small process to purchase, download and install Strides. Firstly click on the buy link. Select the program you wish to purchase and download by clicking on the appropriate link. Fill in the form including your first and last names, email and password. You will then be informed of Strides purchasing terms and conditions. Read them thoroughly and if you are happy to accept these conditions click Accept. Once you accept these terms and conditions you will be directed to the Paypal site for you make the payment. After a successful payment transaction you will be sent to the Strides download page. You will also receive your license key via email. On the Downloads page, there will be two links to download the Strides Software: a Windows Installer and a Apple Mac Installer. Click on the appropriate link to download and install the software. If you are using a Mac you may need to change the security settings to "Run Anywhere" before running Strides for the first time. When first run Strides, you will be prompted to enter your license key. Once it is verified Strides will be ready for full use. 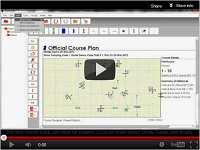 Now you are ready to begin designing your first course on Strides. To start, simply click on the top left button to start the New Course Wizard Happy course designing! How many computers can I use Strides on? Upon purchase of Strides Course Design or Strides Premium you will receive a license key by email. You can use this license key on up to three computers. If you purchase a subscription for Strides Lite you can use Strides Lite on any device that is connected to the Strides website. While your subscription is current, Strides Lite can be used once you are logged in. Remember that a purchase of Strides Course Design or Strides Premium also includes a full years subscription of Strides Lite. Is Strides Lite very different to other Strides programs?